Somehow, I’ve been writing and talking about JRPGs on the internet for a few years and I’ve still never played a Dragon Quest game. This might be because one of the first JRPGs I fell in love with in high school was Final Fantasy X since Final Fantasy is much more popular in Australia and since Final Fantasy X is a more of a modern-looking RPG, it definitely influenced the kind of aesthetics I like in JRPGs. Despite being a big fan of what some consider to be its rival series, Dragon Quest seemed interesting the first time I heard of it. 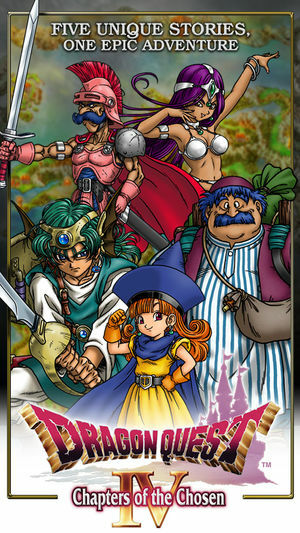 Akira Toriyama’s art looks great in it which makes its aesthetic more appealing, it's got a cute slime mascot, turn-based battles and I’ve always wondered how its fantasy stories and worlds compare to others in the genre. 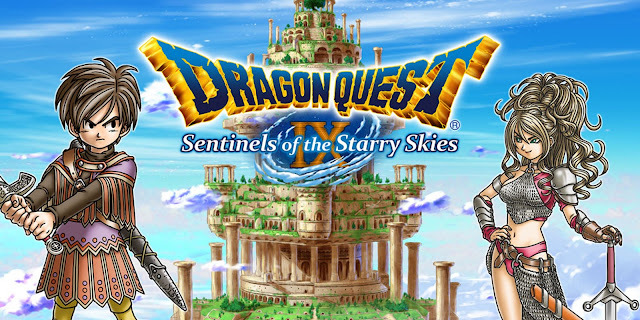 With the English release of Dragon Quest XI coming up soon, I’m strongly reminded again that I still haven’t touched this series, so here’s a list of games in the series I want to try to help me get into this classic JRPG series. 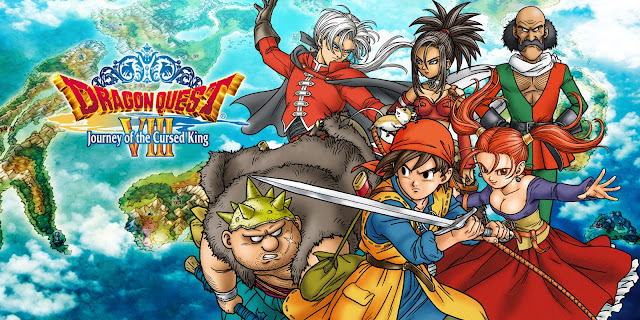 A lot of the games in the Dragon Quest series I know about are often because of what I’ve been recommended and Dragon Quest VIII is one I’ve been recommended a few times and seen people talk about fondly and it stood out to me because it looks newer. 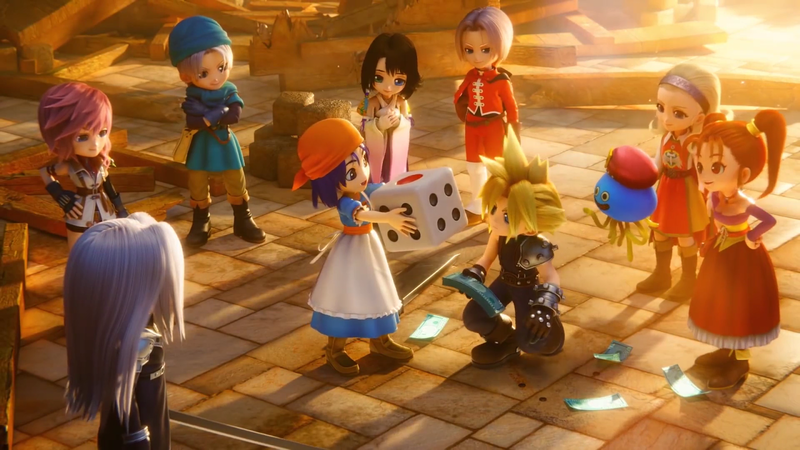 Looking at its trailer, it looks like it could be enjoyable with its battle system that looks familiar enough to pick up and I like the look of the characters with their designs that aged well since this game was originally on PS2. Also appealing that it has a 3DS version that has extra challenges and characters, so not only is playing it portably a big plus, getting the most out the game while on the go sounds like a pretty good way to start one of the big JRPGs. With Dragon Quest VIII is being a game I see pop up in a few best JRPGs both in Japan and in the West, I’d like to see what the hype is about sometime. With a world record for its Chance Encounter mode and critical acclaim, as another of the somewhat more modern Dragon Quest titles, Dragon Quest IX’s aesthetic with more of what looks to be a retro feel makes it feel like it could bridge the gap between old and new Dragon Quest for me. You can make your own Dragon Quest style character in it which looks fun with its animation style and although I’ve read that the character development isn’t as deep due the game being designed to be played with others, it looks like a lighter Dragon Quest I could use to get to know the series before going deeper. Dragon Quest IX is another one that looks like it could be good to play on the go with it being on DS and although its multiplayer features may not be like they used to be, it would be interesting to check out since they did so well. When I was reading up on Dragon Quest as a series, Dragon Quest IV sounded like it could be accessible for a newcomer like me going further into its library of games. Its story is divided into chapters and each chapter explores the story of a different character, which since I just played Octopath Traveler recently sounds like a more linear version of a multi-protagonist story. The only thing about Dragon Quest IV is that while it appealed to me most out of the older ones, it does have that old school JRPG look and feel from what I’ve seen so far, which there is nothing wrong with, but there are times when I get tired of that aesthetic in favour of going back to something more modern looking as that’s what I usually play. If I do play Dragon Quest IV, I think I’ll have to make sure I’m not experiencing that kind of retro fatigue and can enjoy the game for what it is, but I like the idea of its story flow so far. Dragon Quest V is another in the series that’s been recommended to me before and like Dragon Quest IV carries that more retro aesthetic. A few things appeal to me from it, such as the introduction of a monster collection mechanic in this addition, which as a fan of monster-collecting titles like World of Final Fantasy and the Digimon games I appreciate. I also recognise some of the characters from this game like Bianca, so I wouldn't mind getting to know characters like her more since they seem to be used in spinoffs and artworks and I don’t really know much about them. I watched the smartphone version trailer for Dragon Quest V and it didn’t look like a bad smartphone port, which makes me consider getting it on my phone since I once played most of Final Fantasy I on iOS and got really addicted to it, but it’s also available for DS if I want to use a portable console instead. 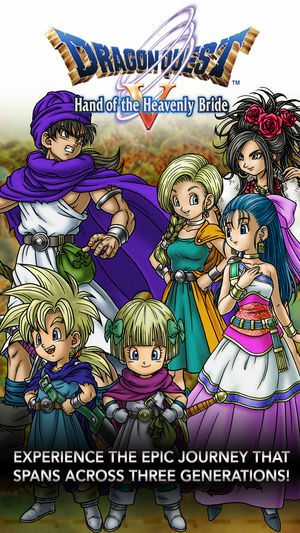 With what looks to be a world full of important Dragon Quest characters and fun JRPG mechanics, Dragon Quest V seems to definitely have a few things going for it and will be one I’ll be keeping in mind. While it’s a spinoff game rather than a part of the core Dragon Quest series, I think Itadaki Street’s 30th Anniversary game could be a great way to ease myself into the Dragon Quest series since I found its demo to be light-hearted and fun when I tried it last year. Since I know Final Fantasy much better than I do Dragon Quest, not only does seeing characters I know in an adorable art style in a fun looking board game already appeal to me, this could also introduce me to the iconic characters from Dragon Quest’s world in a more simplified way where I could get to know its characters and which ones I like through its relaxed party game experience. With over 11 core games in the Dragon Quest series, despite my efforts to make this list it is hard to know where to start, so Itadaki Street might be a way to get to know the series a little better before fully choosing a game if I ever go into the series backlog of games. While it feels a bit like cheating putting this in here since it’s coming out so soon and I’m pretty sure I will be picking it up on day one, Dragon Quest XI received great reviews when it came out in Japan and its modern graphics and systems would mean I wouldn’t need to worry about anything looking or feeling dated while playing what looks like a fun new JRPG to play in September. On top of that, Dragon Quest XI looks really cool with a more polished version of the art style that has been used throughout the series and it looks like a fun world with your typical JRPG mechanics in its turn-based system, but also other extra things like being able to fly dragons and the game having plenty of fun-looking minigames. 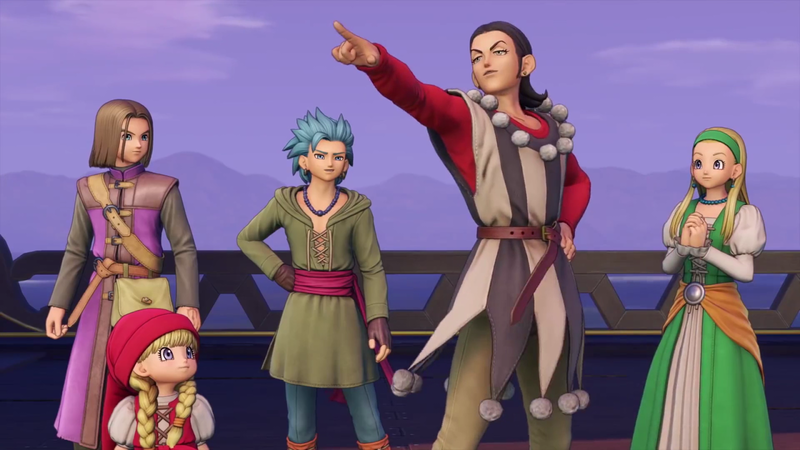 I’m planning to try Dragon Quest XI this month on PS4 as my first step into the series, although I do want to go into its backlog at some point still and I hope Dragon Quest XI acts as motivation to do so. As I prepare to try the first of these Dragon Quest games I’ve been wanting to try, I hope it lives up to the hype and makes me when to try the other games I mentioned in what seems to be an important and iconic JRPG series. You can pick up most Dragon Quest games on Amazon and Play-Asia! Have you played any of these Dragon Quest games? Which game from the Dragon Quest series do you recommend?